I’ve been a long time user of the Mac text editor, MarsEdit for writing and posting blog posts to WordPress. In fact, I’d fall to my knees in tears if I had to use the online WordPress editor to write posts. While MarsEdit does pretty much everything I need, a new Mac editor called PixelPumper looks like a very stylish alternative that is available for free in the Mac App Store [No Longer Available]. Similar to a few other WordPress editors like BlueGriffon BlueGriffon: A Multi-Platform WYSIWYG HTML Editor BlueGriffon: A Multi-Platform WYSIWYG HTML Editor There are several reasons why people hardly use desktop web builders - there are only a few of them available, the good ones are too expensive, and the process of web building itself is not... Read More , PixelPumper enables you to compose, edit, and post blog posts to your existing WordPress blog. The editor is also useful for having your posts saved offline to your Mac, or scheduling them for upload at any time you choose. With PixelPumper you can work on drafts of blog posts and manage them without having to log into your WordPress account. PixelPumper requires Mountain Lion 10.8.2 or higher. To get started with PixelPumper, you simply add your WordPress URL, username, and password. From there the text editor will download your previous blog posts, including your existing categories and tags, and it will automatically set up for a new post. PixelPumper works solely has a WYSIWYG editor, which means that the text you type and the styles and photos you add to your posts are pretty much how your posts will appear when you upload them to your WordPress blog site. This is great for writers and users who don’t like messing around with HTML code, but it might be a drawback for users who would like to edit raw HTML offline. As with the WordPress text editor, PixelPumper includes menu items for adding headers, style formats (e.g, Bold, Italic, Underline), blockquotes, text alignment, bullets, and hyperlinks. 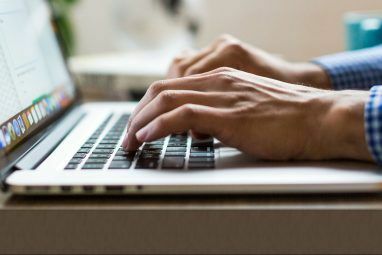 These menu items are easily accessible (though applications does not include keyboard shortcuts for these items), and unlike the online WordPress editor, you don’t have to scroll up and down a browser page to get at these necessary tools. Adding photos to your posts in PixelPumper is somewhat similar to adding them in WordPress. You click the Add Photos menu item and select an image in your Mac’s Finder. After the image is imported, click on it and a pop-up menu will appear so you can choose the size and alignment of the photo. In addition to Full Width, PixelPumper offers two other options for resizing photos – either 1/3 the size of the original size or you can type in a fixed pixel size. The latter option was buggy for me, but the developer wrote and told me they’re fixing it and making improvements to give users more control. In the Settings (Images) area of PixelPumper, you can set the default size you would like images to appear when they are set for full width for your blog posts. You can also select to have your images uploaded at retina resolution display. This option however will result in a slightly longer download time for your blog posts that include the high resolution images. PixelPumper makes it easy to add a featured image to your blog post. You simply drag the image to the Featured Image box, and PixelPumper will automatically resize and prepare it for upload. Applying styles to text in PixelPumper also works similarly to the WordPress editor. You select the text and then select the style you want to apply to it. To apply Header Text, for example, select a sub-title and then click the Styling button. From there choose the H1, H2,… header tag by sliding the green button over to the appropriate header. You remove an applied header by re-selecting the text and clicking on the Standard Text option. Unlike with MarsEdit, you can’t set up categories for your blog posts from within PixelPumper. 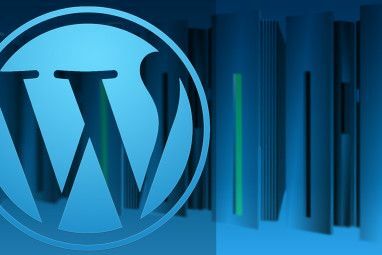 The setup must be done in your online WordPress account. From there, PixelPumper will download your categories so you can apply them, as well as set tags to your blog posts. 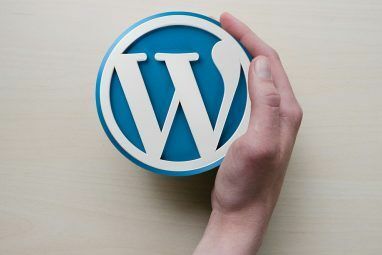 You can save drafts of your blog posts in PixelPumper and return to them later, and when they are ready, you can upload them directly to your WordPress blog site. You can also click the tiny green schedule button under the title of a blog post, and set a day and time for when you want a post uploaded. Unfortunately, PixelPumper doesn’t allow you to upload blog posts as drafts, nor does it automatically save your drafts, which are two useful features in MarsEdit. In its initial release, PixelPumper may be lacking in a few important features, but the style and relative simplicity of its user interface make it hard to ignore, especially for Mac users who don’t need a lot of advanced features. And unlike the several alternative text editors for Windows users 4 Alternatives to Windows Live Writer for Blogging 4 Alternatives to Windows Live Writer for Blogging Microsoft recently announced the end of the Windows Live brand. In response to concerns, all Microsoft is saying about Windows Live Writer is it will “work great on Windows 8” – not whether development is... Read More , PixelPumper is one of a few for the Mac. But let us know what you think of PixelPumper. What features would you like to see added? Explore more about: Blogging, WYSIWYG Editors. PixelPumper is almost as good as Windows LiveWriter and that is saying a lot. Livewriter is the one thing I really miss in the transition from Win to Mac. PixelPumper is being constantly improved, so any criticism of its short-comings needs to be checked against the latest version. Bob, is not showing up for you? I just checked again and it's there. Try doing a direct search for it in the App Store.